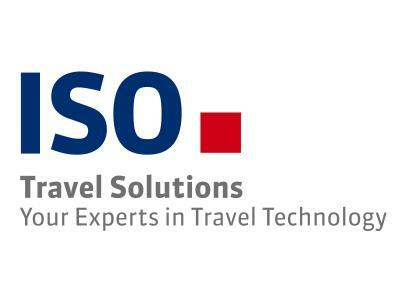 For the 50th anniversary of ITB in Berlin, ISO Travel Solutions will show its latest solutions for tourism. 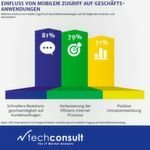 The travel IT company from Nuremberg will present new features and modules for its reservation system Pacific. ISO Travel Solutions will be at stand 109 in hall 5.1. The modular reservation system Pacific now offers several group booking features, including a Group Quick Booking Mask and a Partial Occupancy for hotel rooms or ship cabins. With these functions Pacific meets the requirements of tourist businesses offering group travel such as operators of study tours, hiking journeys and round trips. The new Quick Booking Dialogue for Groups lets tour operators capture and edit the complex group bookings efficiently using a simplified dialog. Using the Group PNR Handling integrated with Pacific, tour operators can purchase Amadeus group PNRs from Airlines and book them automatically online. Booking in Amadeus is done autonomously by Pacific, taking into account the group PNR specifics such as name change, split PNR, feeder handling and upselling. ISO was able to win Wikinger Reisen, a tour operator from Germany, as the first user of the new group functions. They have been using Pacific to handle all travels (mostly hiking trips) since the end of 2015. By migrating to Pacific, Wikinger Reisen is now using a modern, adaptable product with future-proof technology. See the new Group Modules by ISO Travel Solutions live at ITB (9–13 March 2016) – visit us in hall 5.1. at stand 109. 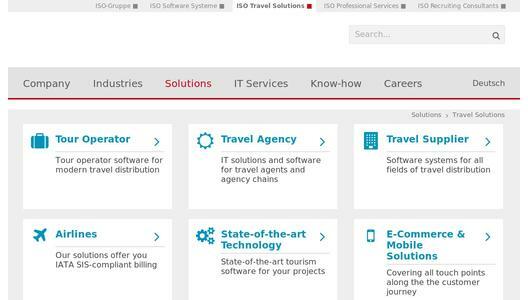 The ISO Travel Solutions GmbH is specialized in the development, sales and support of tourism software solutions for the international markets. The know-how thus derived is also available within the scope of our consulting services. The company covers the entire range of tourism by offering self-developed products for tour operators, destination agencies and travel agents and other suppliers as well as for airlines. Our solutions are being used by well-known companies all over the world. ISO has been active in the market since 1979 and has since become an international IT service provider. Targeting specific markets has resulted in several powerful and innovative companies under the umbrella of the ISO-Gruppe. These include ISO Software Systems (specialized in software engineering and IT consulting), ISO Professional Services (a specialist for SAP and infrastructure services) and ISO Recruiting Consultants (a provider of IT personnel services). For further information, please visit www.isotravel.com.